Complementing my interviews, today’s Author Spotlight, the two hundred and ninety-second, is of romantic and ‘dark’ paranormal author and interviewee Cher Green. If you would like to take part in an author spotlight, take a look at author-spotlights. Cher Green works as a rural carrier for the United States Postal Service, but her true desires stem into the writing and tarot world. She writes fiction in many genres, spanning from horror to romance to children’s literature. Her work has appeared in various magazines and anthologies. She has authored two paranormal romance novellas, Escape to Love and Seduced by Darkness, and a children’s book, The Sacrifice. She also has a natural connection with the spiritual side of life, expressing this through her tarot readings and continues to grow with explorations of others’ works and experiences in tarot, numerology, angels, and much more. She’s eager for knowledge, to say the least, from both the physical world and from that of a higher plane. She is the National Tarot Examiner at the Examiner, offering reviews of the latest tarot decks / books, and other spiritual related products. At an early age, I discovered books and their magical ability to transport the reader into other worlds and lives. As I grew older, I knew I wanted to be able to do this for others. I dabbled in short fiction, poems, and novel attempts throughout my school years. As with most young writers, there was no one to push or guide me forward into this career. Life began: work, marriage, mortgage, debt. The dream was lost, but not forgotten, in the overwhelming chaos of life. I neared my thirties and an uncontrollable urge took over. I’d wasted so much time, hadn’t followed through on my dream, what if I never did it? I knew right then and there, it was time to get to work. Every spare minute went toward rediscovering my talent, building on skills, and making wonderful writer friends. There were crashes, a few burns, but I kept moving forward, determined to follow the dream all the way. It took many years, a lot of rejections, some crying and tantrums, but I finally arrived and gained the title, Published Author in 2011. I can’t explain the feeling of finally getting a piece of my work accepted, of getting paid for what I’d worked so hard on, and most of all having readers enjoy the journey of getting lost in my words. Not to mention, the cycle of acceptance happened multiple times over the year. It was simply amazing! 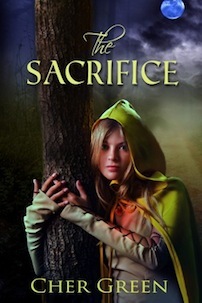 This year, my first children’s picture book, The Sacrifice, has released. Since this story was actually written during the beginning of my journey, accepted for publication in 2011, its publication feels kind of like a lost child coming home – a true cause for a celebration and shedding of tears. 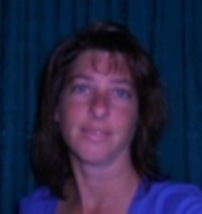 My website, www.chergreen.com, contains information on each publication: blurbs, excerpts and such. Stop by for a visit if you get a chance. Sign up for the newsletter, and I’ll be sure to let you know of my future publications. Interested in Tarot? There’s a website for that – www.tarot-guidance.com. I’d love to hear from on you on either topic! You can sign up to receive these blog posts daily or weekly so you don’t miss anything. You can contact me and find me on the internet, view my Books (including my debut novel The Serial Dater’s Shopping List) and I also have a blog creation / maintenance service especially for, but not limited to, writers. If you like this blog, you can help me keep it running by donating and choose an optional free eBook. Horror, romance and children’s books. That’s quite a range! You know me Terry, lol. I believe I’m testing waters and will settle into a genre eventually. Or not. The words lead, I only follow.